Thank you for your interest in our Emergency Notification System. 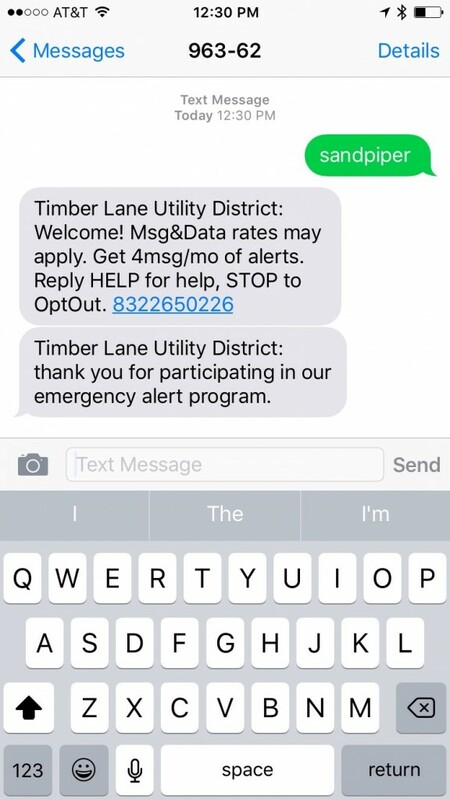 This system is designed to send you a text message with important information regarding the Timber Lane Utility District. We have defined the following areas for notification. Please use the respective keyword to your subdivision when signing up for this service. Use the Keyword respective of your subdivision for the message. 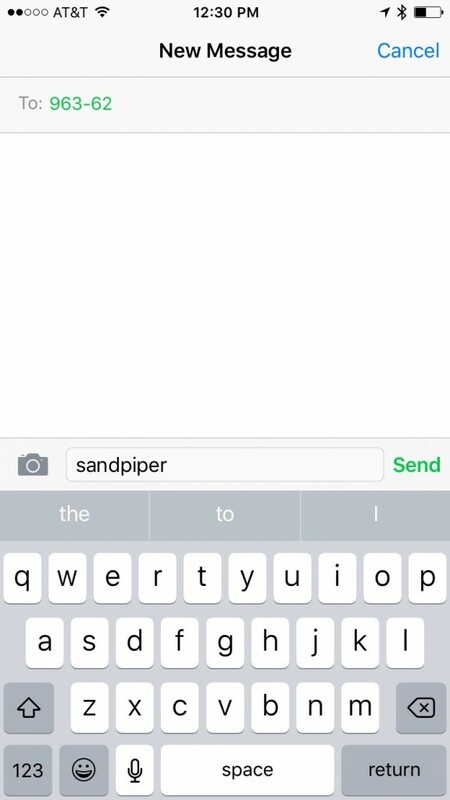 Example: If you live in the Sandpiper Subdivision you would type “sandpiper” in the message field. See example graphic below. Upon successful completion of your sign-up, you will receive a message similar to the graphic below. Please direct all questions and inquiries to our Contact page.